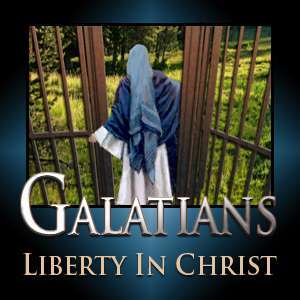 Galatians is one of the most important and vital books in the New Testament. It deals with several vital things that are crucial to understand today such as what is the true nature of the gospel? What does a person do or believe in order to be saved? Today we live in a time where there is much confusion about the gospel, much of which comes under the general title of Lordship salvation. Basically what this means is that if you are truly going to be saved then you have to believe that Jesus Christ is Lord of your life. If He is not Lord of everything in your life He is not Lord at all. Lordship salvation takes faith to mean commitment; it says that the assurance of our salvation is grounded in the evidence of our salvation. So if we look at a person’s life to examine, making every believer a fruit inspector, then if there is no evidence of salvation there is no salvation. They also make a distinction between the kind of faith that saves and every day faith. They take faith to mean commitment. So we are going to be addressing these issues: what is salvation, what is justification?